UC Davis offers the following research expertise on election issues including the use of social media, the effect of moral viewpoints and election law. Also check out this election source list for media. Twitter’s use as a political campaigning tool has been spreading around the globe since President Barack Obama tapped social media on the way to the White House in 2008. Twitter’s role in India’s 2014 elections, in turn, offers a critical lesson for candidates in this year’s U.S. races, says Saifuddin “Saif” Ahmed, a doctoral student in communication. In a recent study, Ahmed, Associate Professor Jaeho Cho and a colleague in India analyzed nearly 100,000 tweets by 11 political parties in India’s parliamentary election. Not only were the winners the most active tweeters, they used Twitter to talk with and not at voters, Ahmed said. 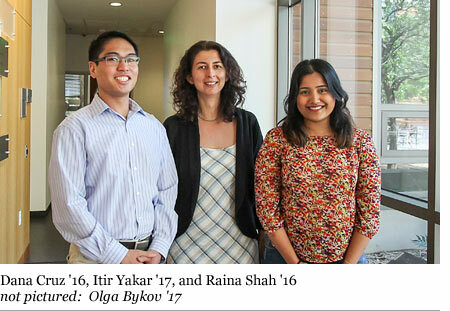 Four UC Davis School of Law students are working with the California Fair Political Practices Commission to overhaul state laws governing campaign finance and political lobbying. Adopted by voters in 1974 as Proposition 9, the Political Reform Act has been amended numerous times by initiative and by the Legislature, resulting in a body of law that the FPPC has deemed overly complex and inconsistent. FPPC officials say that in some cases, politicians accused of misconduct have used the complexity of the act as a defense; in others, potential candidates have been discouraged from running when faced with difficulties of navigating the act's complexities. In response, the FPPC has initiated the Political Reform Act Revision Project, in which UC Davis and UC Berkeley law students are working to redraft the act. Students Olga Bykov ’17, Dana Cruz ’16, Raina Shah ’16, and Itir Yakar ’17 are working under the direction of FPPC Chair Jodi Remke and David Carillo, executive director of the California Constitution Center at UC Berkeley School of Law, and in collaboration with four Berkeley law students on a comprehensive review and revision of the Political Reform Act. The students are nearing completion of their redraft, which simplifies the often convoluted language of the act into “plain English,” removes repetitive sections, inserts related regulations, and essentially rewrites the act so that it’s very straightforward. The draft will be reviewed by the FPPC and forwarded to the Legislature for approval — hopefully by the end of the year.